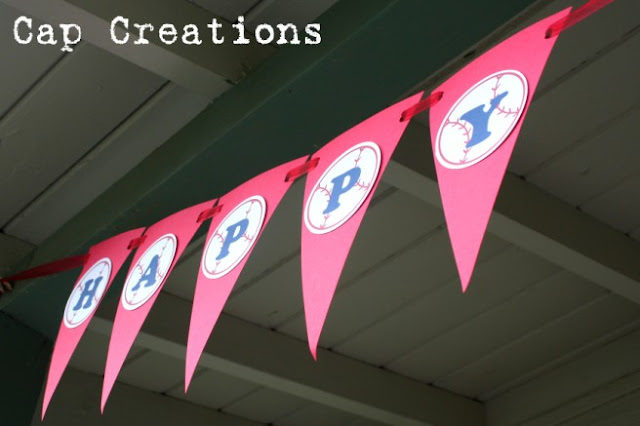 The Happy Birthday Baseball Banner was the first thing our guests noticed when they arrived at our baseball party and it was very simple to make! Using the template below as a guide for measurements cut out triangles from your choice of colored card stock (regular 8.5 x 11) we used red. 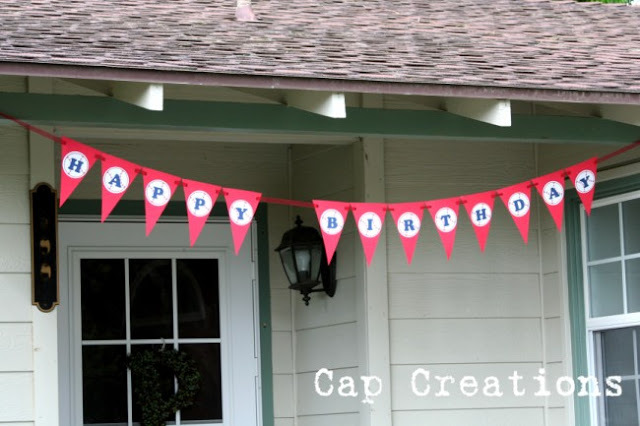 You will need one triangle for each letter in Happy Birthday and more if you want some blank ones. 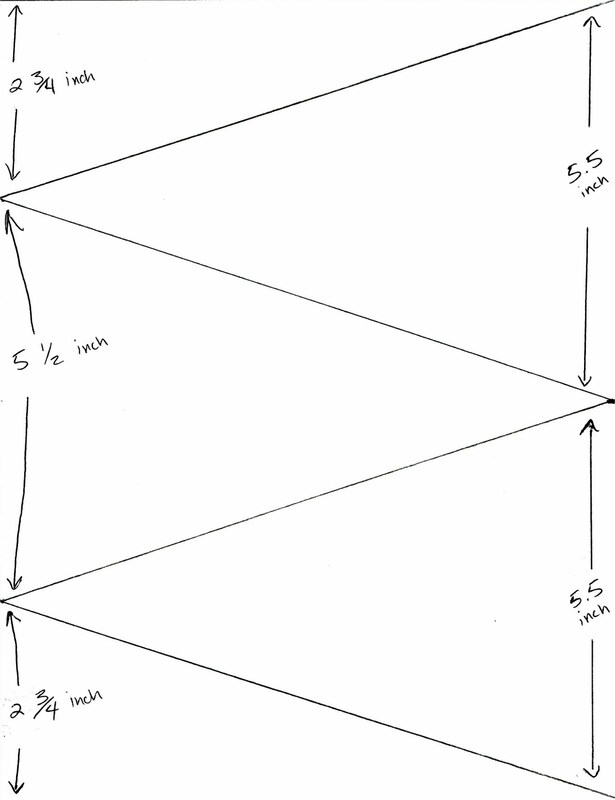 You will get 3 triangles from 1 sheet of paper. 1. 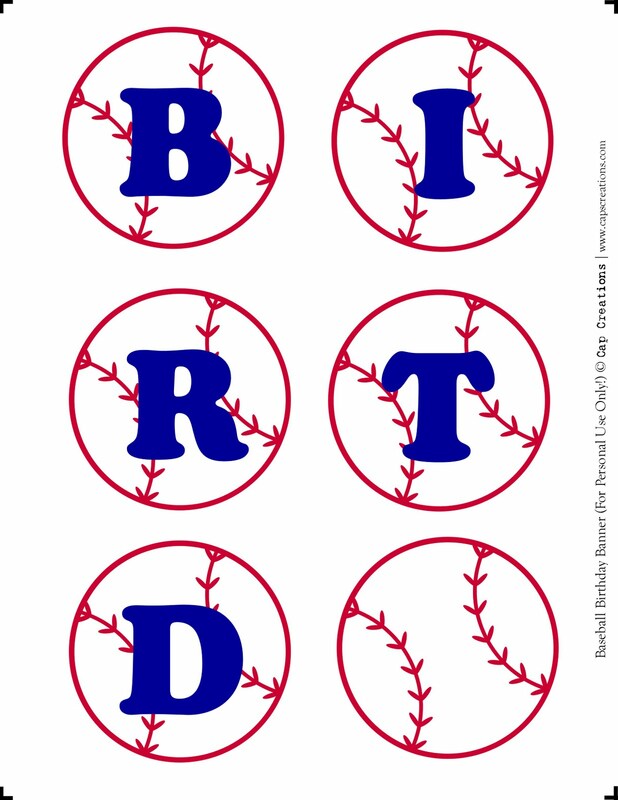 Click on the baseball letters below to enlarge. 2. Click on them again to enlarge even more. 3. Right click & save to your computer. 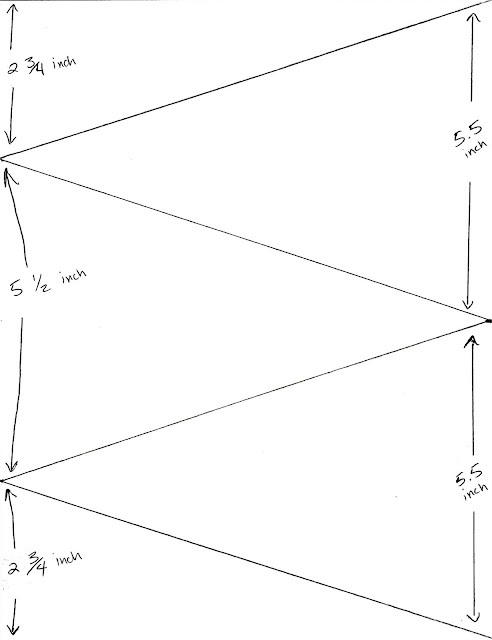 4.You can print it from your computer like a photo but for best results open it in a photo editing program and re size to a regular 8.5 x 11 size sheet (use the little black lines for reference). 5. Print on card stock. You must print the first one twice to have all the letters you will need. 6. 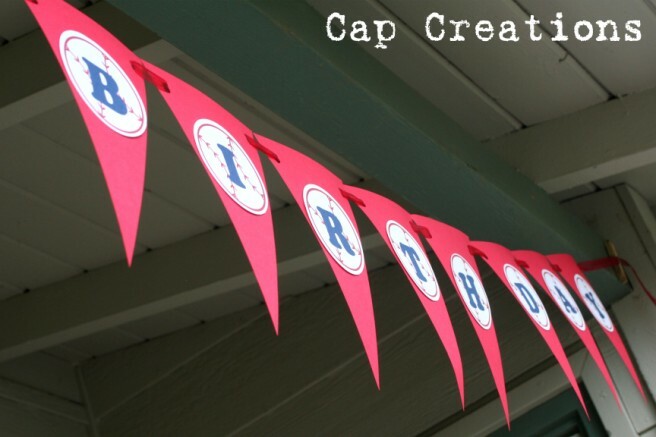 Cut out baseball letters with a circle cutter leaving a small white border around the edge. Glue or tape the balls to the triangles. Punch holes on the top of each side of the triangle with a regular hole puncher, this is where your ribbon will thread through. We punched 2 holes to make it bigger. Thread your choice of ribbon in through the front of the triangle toward the back and then through to the front again. Do this for every letter while putting them in the correct order. 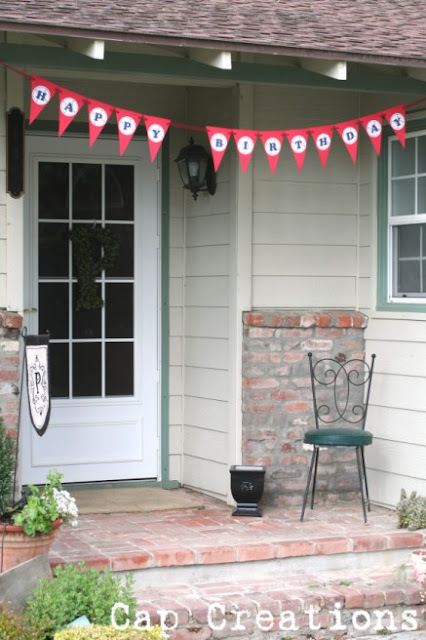 Leave extra ribbon to tie on your banner. All done! Hang and enjoy! wow -- thanks for the printable letters on baseballs! :) This is my son's theme this year. THANK YOU!!! I'm not crafty in the least bit, but I am ALWAYS wanting cute things like this! =D So cute!!! THANK YOU AGAIN! Thanks so much, these are perfect! 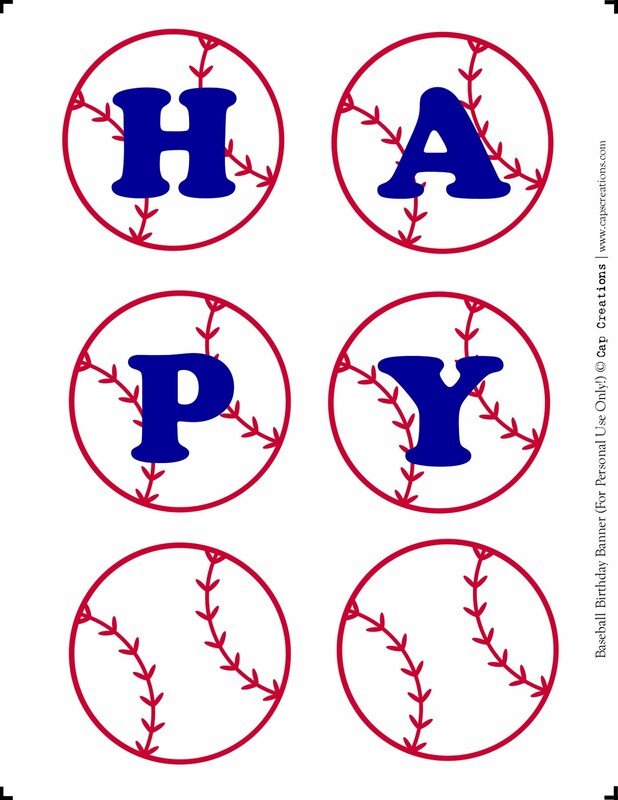 The "Happy Birthday" baseballs are of course for my son's party, but the ones without a letter my husband (a coach) will put on a little gift for his players at the end of the season. Thanks for sharing!! Thanks for posting this it is great! I was wondering what font you used because I wanted to add my sons name to it. Thanks for posting the print out! We used these for my cousin's 2nd birthday party and they were super cute!!! !